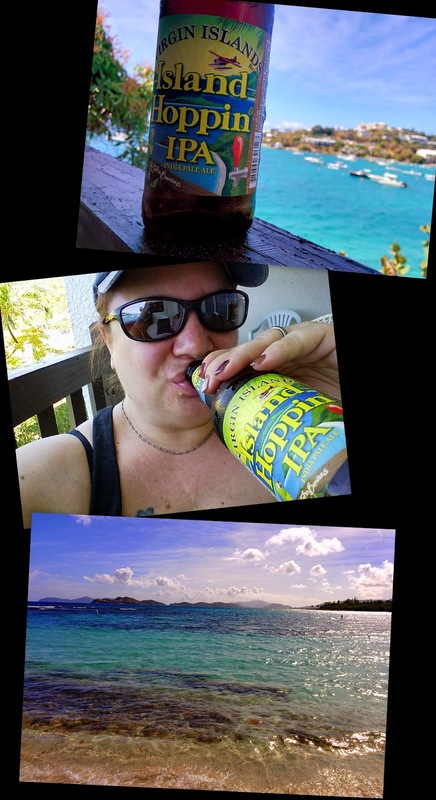 One of the great things that I enjoyed during my island vacation was being able to wake up to soft caressing breezes, a gorgeous view from my balcony, and occasionally starting my day with a cold bottle of beer. Okay, maybe it was more than just occasionally. Don't judge me, I was on vacation. 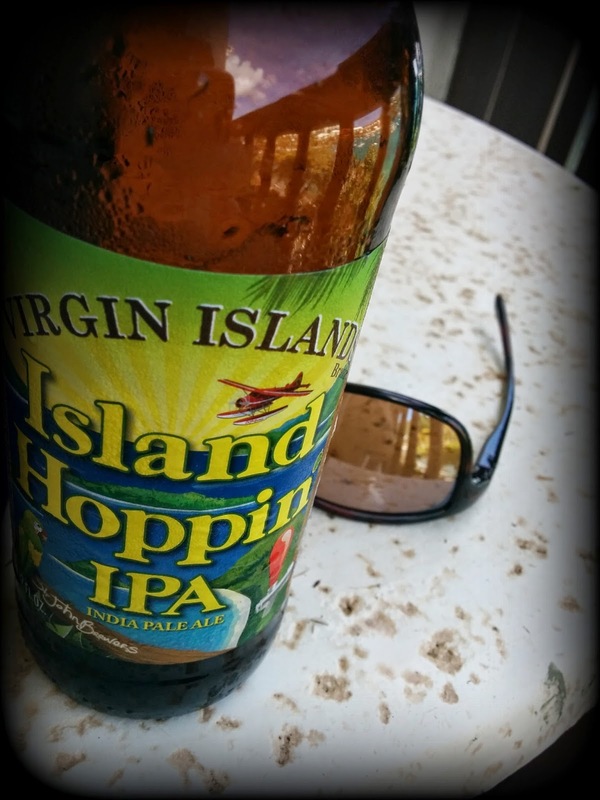 One of my go-to breakfast brews was Island Hoppin' IPA (6.20% ABV) by St. John Brewers. Why? Because IPA's are generally my go-to beers and they were stocked in the fridge. 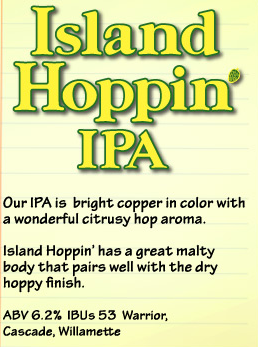 Island Hoppin' is what I would consider a "gateway" IPA. It's a mildly hoppy, easy going, drinkable IPA. A good beer for someone new to the world of India pale ales. I had more than a few of those puppies with my feet kicked up and just enjoying life. And, that's what it's all about.